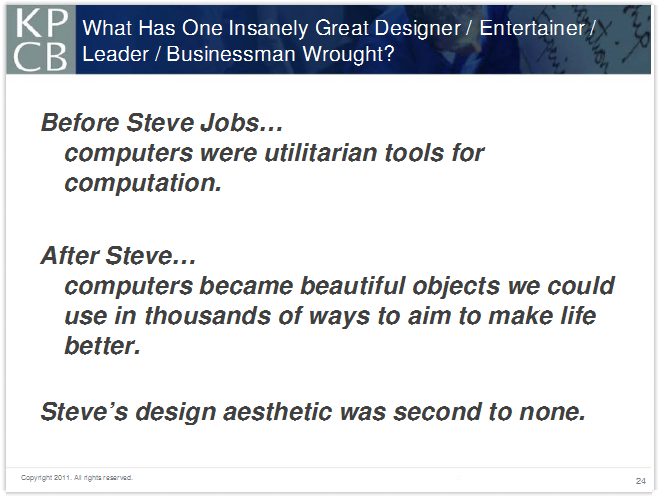 You can take a look at her slides from the presentation below, but here are the meat and potatoes of Meeker’s keynote that stuck with us. We tend to think of the market capitalization of the Internet as something truly Western, that really Web innovation and use is in American hands. But Meeker points out this isn’t entirely true: The top 10 Internet properties retain most of their monthly unique visitors outside the U.S. In fact, the numbers aren’t even remotely close. One word: China. The country is adding to its population—an Internet using population—so fast and furiously that it’s a more and more attractive market for Internet companies. China’s most important resource is arguably its population, and it’s leveraging that with Web and mobile platforms. They’ve got your customers, so go to them. People are spending more and more time using social networks, and less and less time on everything else the Internet has to offer. Really, this is just confirmation about what we already knew: Social networks account for a huge percentage of the time consumers spend online. Surprise, surprise: Meeker says iPods, iPhones, and iPads have changed the industry. That said, she also pointed out Android adoption has ramped up even faster than that of the iPhone. Basically, it’s a “two-horse” race between Andriod and iPhone and no other platform has managed to break into that competition effectively yet. Encouragingly, she also pointed out that USA-made smartphone operating systems now have a 64-percent share—five years ago, it was a measly 5-percent. More than anything, what mobile has done is empower people. Global information flow and taking action have both been improved thanks to smartphones. 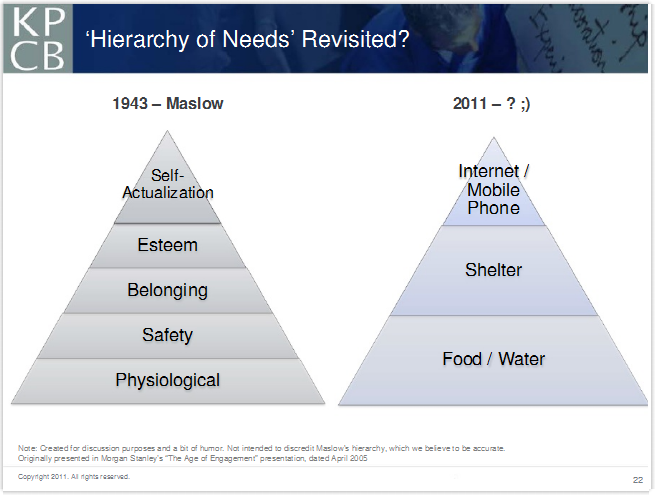 In what is perhaps the most amusing and eye-opening slide of Meeker’s presentation, she reexamines Maslow’s Hierarchy of Needs, the chart shown in every eighth grade health class. Now, instead of self-actualization, we need the Internet and a cellphone. Instead of esteem and belonging, we need shelter. And in place of safety and physiological needs, we’ll take food and water. Is technology actually making us simpler people? Meeker talked about the evolution of the user interface, how it began with loads of text, moved to graphics and icons, and now is all about tactile: Touch, and sound, and movement. It’s the progression of humanizing our technology, and it really, really makes you wonder what’s next. Meeker says sound is going to becoming increasingly important to the user experience. In an encouraging note, Meeker says that our economy is “often darkest before dawn,” and that we’ve possibly found out what our problems are. The next step is fixing them. Luckily, she also has enormous faith in our technology industry. We are living in “unprecedented times,” she says. 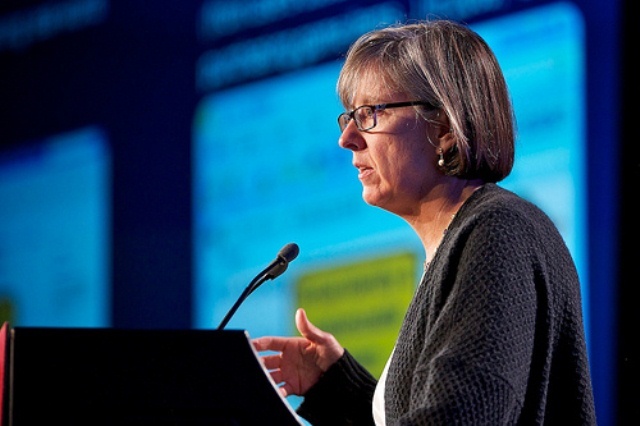 Hopefully home-bred innovation can pull us out of an economic slump.